When planning to downsize your life you may be depending on your pension to provide financial support in your later years. By careful planning your pension may help you downsize earlier than you expected. You may have been paying into a pension that is connected to your job, but have you looked to see if you can retire early and take out the pension. It may be that the pension administration department is unaware of your intentions to leave work early. Ask for a quote and give several dates of when you intend to leave work and downsize your life. Quite often it is possible to start drawing on a personal pension long before your state retirement age. Remember that the longer you leave your pension the more you will have to rely on in later life. You may have many years before your intended retirement age. Perhaps still in your twenties or thirties you expect to work hard and retire and downsize your life when you are fifty. Now is the time to invest in a pension, plan carefully and be ready for your future. 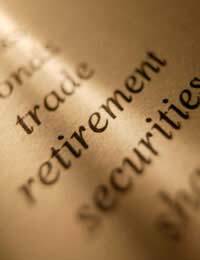 Take pension advice and take into account all the tax concessions available for those investing in pension plans. Each time you have a pay rise increase your monthly pension payments. If the company you work for pays a percentage of your mortgage check that they increase their contribution whenever you do. Do not rely on your pension administrator to check that your pension plan is performing as well as it could. Ask a financial advisor to look at the pension, perhaps move it if your money is not working for you as well as it could he will be able to give you up to date pension advice. These days with internet connections it is possible to access your pension account and check it through. You may not be aware of all the technical and market terms but you can check that your payments are shown and those of your employer if he has contributed. Check also that any tax concessions have been accounted for. It is better to check you account now rather than dispute the final figure in later life. You may have planned to downsize your life and retire from your job but will your mortgage be paid by then? If you do not plan to downsize your home and become mortgage free then look to your pension to see if it will pay enough to cover your mortgage debts or indeed clear the mortgage with a single payment. There are mortgages available that are linked to a pension scheme – just another option available to those thinking of downsizing sometime in the future. Just because you are downsizing your life do not think that you have to start drawing from your pension. Perhaps downsizing will mean you will have a part time job or perhaps work less hours with your present employer. You can freeze your pension payments or decrease the monthly contributions until such times that you are ready to turn the pension into an income for your retirement.